CAF CONFEDERATION CUP: WILL ENYIMBA END RAYON SPORTS’ JOURNEY? Rayon Sports carry the weight of their 12 million compatriots as they file out at the reconstructed Enyimba International Stadium in Aba for the decisive leg of this year’s CAF Confederation Cup quarter-final. 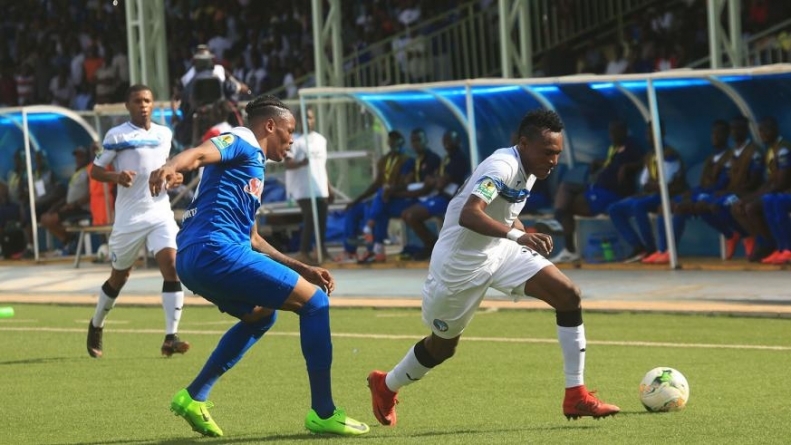 Despite their respect for Enyimba, there is a lot of enthusiasm in the camp of the Blues of Kigali that they will go a gear up having achieved a height no other Rwandese side have reached by arriving in the last eight. In a chat with CAFOnline.com, Rayon Sports captain Abdul Rwatubyaye had no doubt that victory would be theirs. 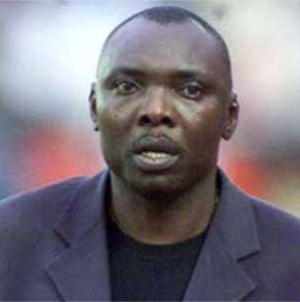 “Enyimba is one of the best clubs in Africa. We respect them but we will have to show that we are Rayon Sports, and can do better against big teams,” he boasted. No one gave Rayon Sports any chance of going this far in the competition until they overwhelmed Kenyan champions Gor Mahia 2-1 in Nairobi in the penultimate match at the group stage and wrapped up that phase of the competition by beating Tanzania’s Young African 1-0 in Kigali to finish behind group winners USM Alger. By winning the 2016/17 Rwanda National Football League, Rayon Sports got into the CAF Champions League in the preliminary round where they beat Burundi’sLLB Académic FC 2-1 aggregate. But they were knocked out in the first round by former champions Mamelodi Sundowns of South Africa 2-0 aggregate. With that outcome, Rayon Sports dropped to the Confederation Cup at the playoff round, as stipulated in CAF regulations. At that stage, they were merciless against Zambia’s Zanaco FC, emerging victorious at home and away 5-0 aggregate. They then advanced to the group stage where they won two matches, shared honours in three but lost at home 1-2 to USM Alger. Brazilian trainer Roberto Oliviera Goncalves de Calmo, who replaced Ivan Minnaert midway in the campaign, have done well so far. 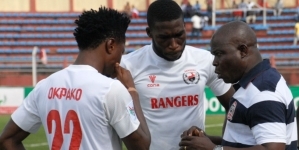 Now he is faced with perhaps his toughest assignment, which is to beat Enyimba in Aba or pull a score draw. Enyimba will not want to let Nigerians down. 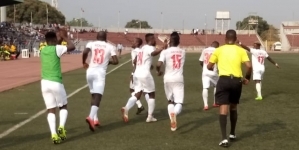 In recent years, Nigerian teams have failed to impress in continental competitions, which has now accounted for the country’s quota in CAF inter-club tournaments reduced from two to one each from the next edition. The People’s Elephants have the experience to navigate this stage and other rounds of the competition having won the elite Champions League on two previous occasions – 2003 and 2004. They also won the CAF SuperCup back-to-back (2004 and 2005). Enyimba have had a congested fixture with the Aiteo Cup also in view. Returning from Kigali early last week, they had to face Dynamite Force FC in the Round of 32 of the Aiteo Cup and triumphed 2-0 in Nnewi to qualify for the group stage which commenced this evening. Enyimba cannot afford to concede in Aba without scoring more than their opponents. And they have Theophilus Afelokhai, who has usurped the position of Super Eagles keeper Ikechukwu Ezenwa, between the sticks. Afelokhai has not conceded in 270 minutes, which gives them assurance to go upfront and deliver the goals. The main worry though is Enyimba’s front-line which has failed to deliver enough goals. Mfon Udoh, Joseph Osadiaye, Sunday Adetunji and company produced only five goals in the group stage and fired blank in the first leg in Kigali. If they pass this test, Enyimba will challenge either Morocco’s Raja Casablanca or CARA Brazzaville of Congo Republic in the semifinal. Raja have an advantage having won away 2-1 in the first leg. And they also have what it takes to finish the job. They had won the CAF Champions League three times (1989, 1997 and 1999) and the CAF Cup (now CAF Confederation Cup) in 2003. 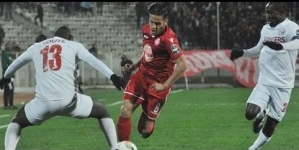 In other matches, USM Alger, CAF Champions League champions in 2015, will seek to cancel their lone goal deficit against Egypt’s Al-Masry, while AS Vita Club of DR Congo will be guests of Morocco’s RS Berkane, who won at home 3-1 last weekend.